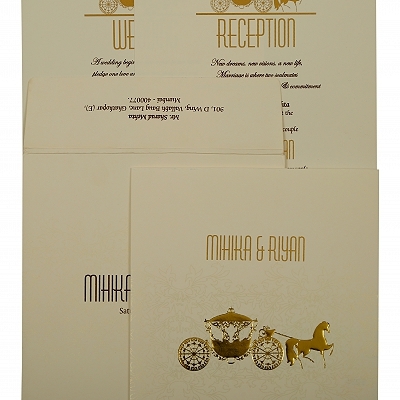 "When you realize you want to spend the rest of your life with somebody, you want the rest of your life to start as soon as possible".- We understand the importance the wedding day carries in everyone’s life. 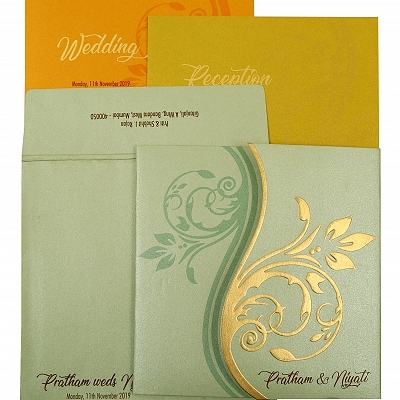 The Wedding day is definitely the day that you and your soul mate will nurture throughout the journey. 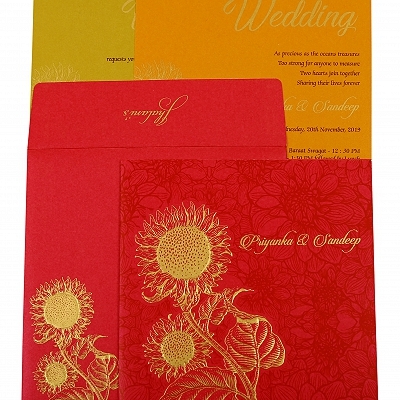 Wedding cards too are an important element of your Big Day. 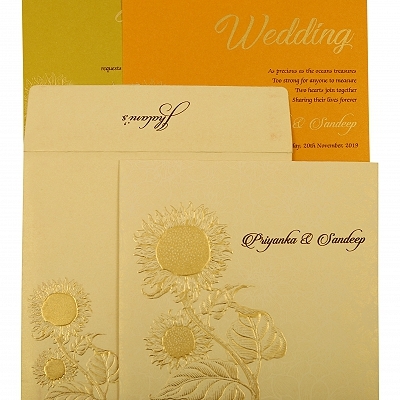 So, we deliver you the finest and exquisite bunch of wedding cards. 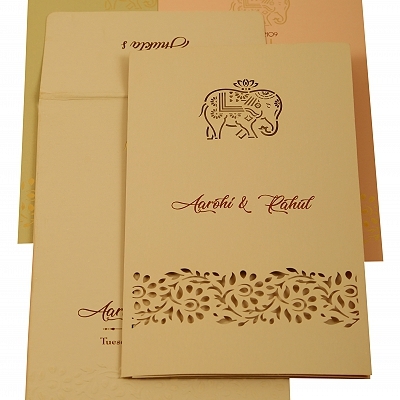 Being legitimate in our field of wedding card designing, we try our best to keep our customers updated with the latest wedding card designs. 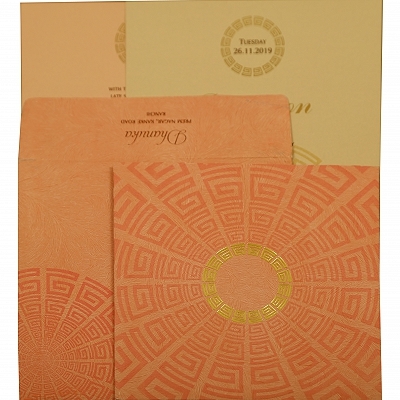 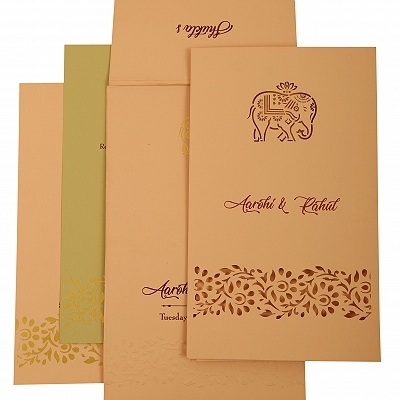 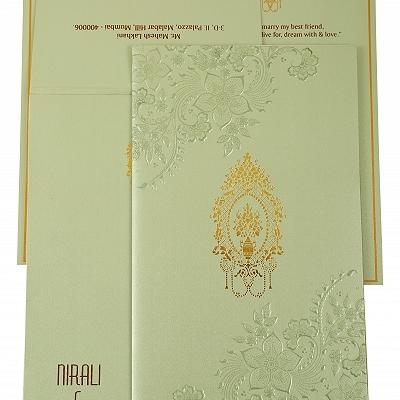 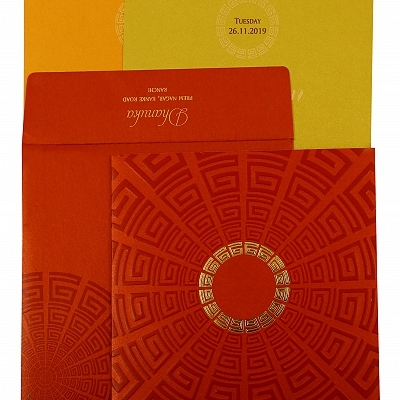 The section of “New Arrivals” zooms in the recent and brand new collection of wedding invitation cards. 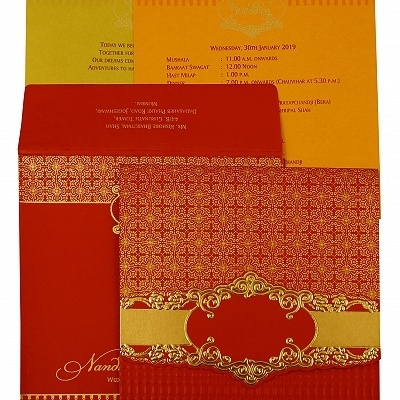 Here you will get all the hot and trendy collection of invites that have been designed considering the recent trends and fads. 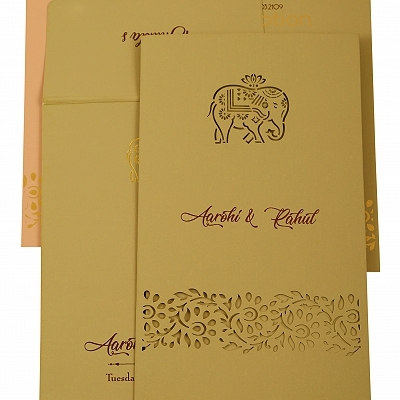 Nobody likes to order stale and out of hip wedding stuffs, so keeping our customers and their preferences in mind we have an array of beautiful and chichi wedding cards. 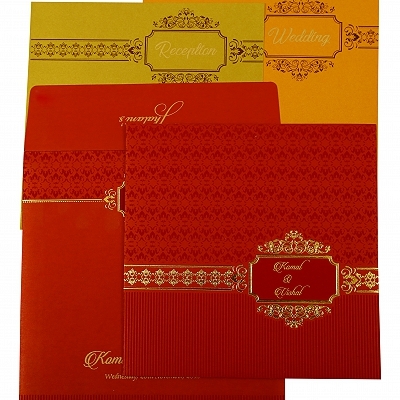 Moreover, the cards come along with the feature of customization, so you can customize your cards according to your requirements. 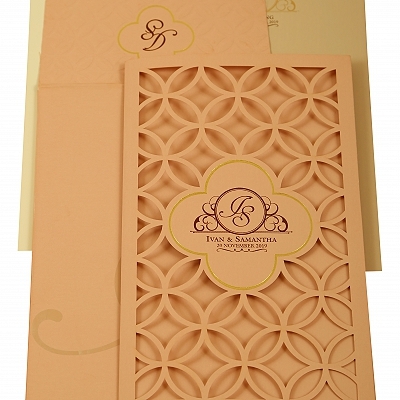 The cards listed on the page are a result of a lot of research and development of our creative team of craftsmen and designers. 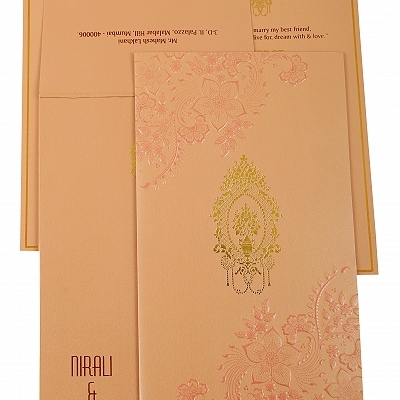 The remarkable courage of our dedicated workforce to Innovate and create bewitching designs is the key factor behind bringing this voguish collection on board. 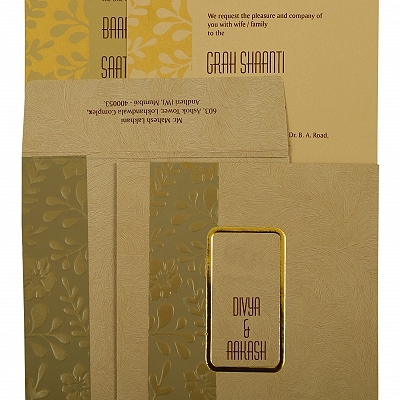 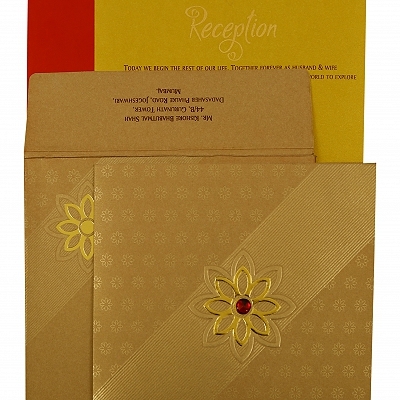 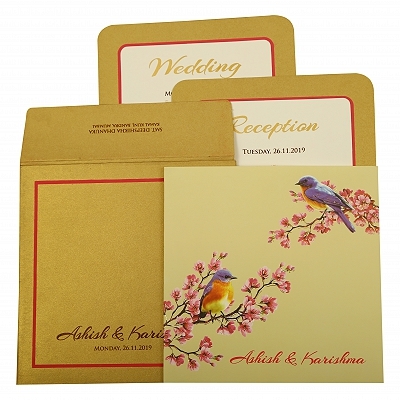 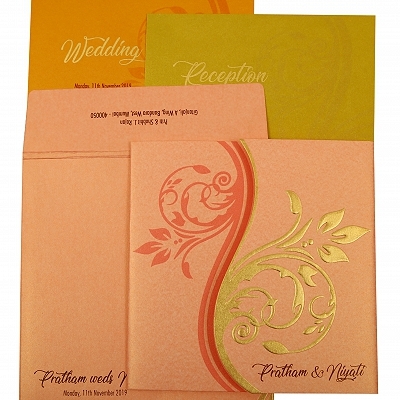 Give us a chance to please your invitees with the newfangled and latest Wedding invitation cards.